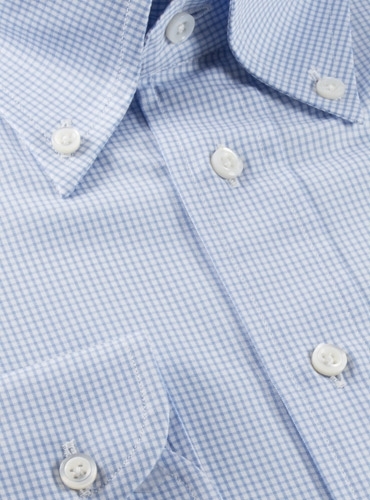 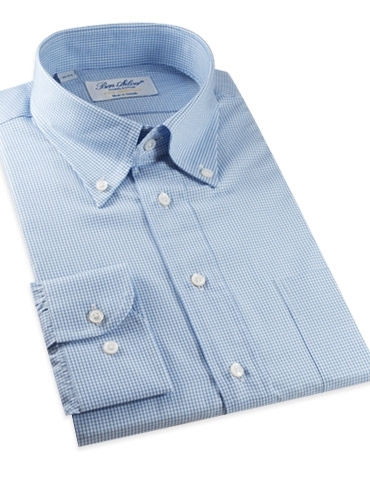 One of our exceptional button down shirts, in Italian woven DJ Anderson 2-ply 200 thread count cotton twill, and cut, as all of our button down shirts, with a perfect roll collar, single needle stitched, with mother-of-pearl buttons, side gussets for added strength, double buttons at the cuff for added comfort and extra width at the left sleeve to assure room for a wristwatch. 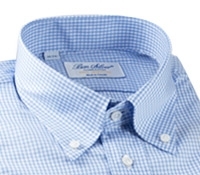 Shown here in 4428-white and blue small grid. 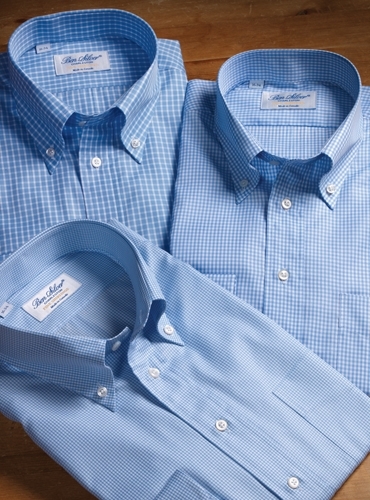 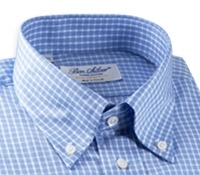 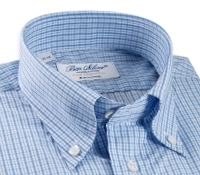 Also available: 4430-blue ground with white check; 4429-white and blue mid-size grid.